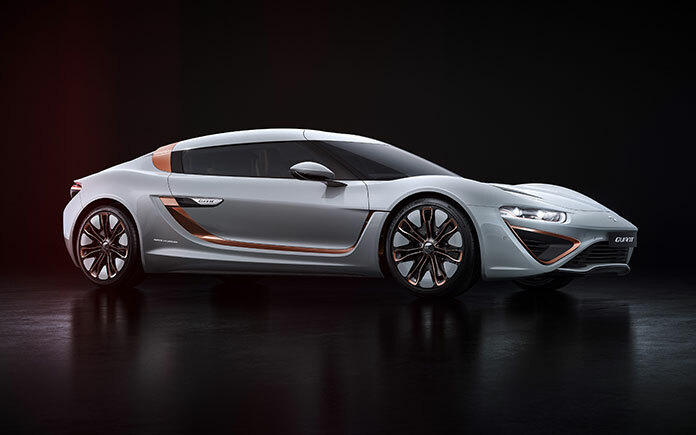 nanoFlowcell Holdings is presenting the state-of-the-art in fuel cell research at this year’s Geneva International Motor Show. 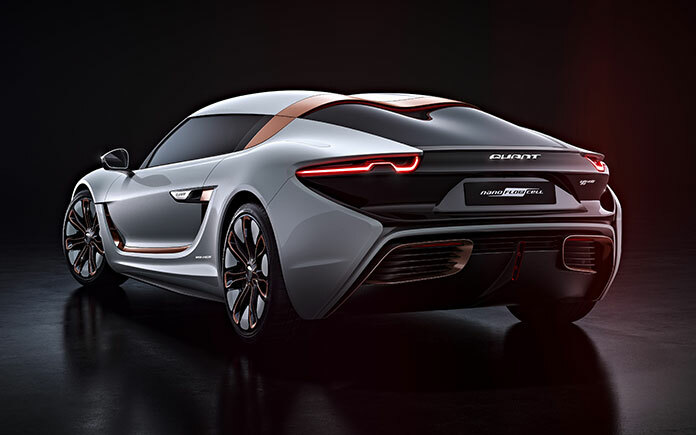 Wrapped in the extravagant bodywork of an electric sports car that is utterly unique in the automotive industry, the QUANT 48VOLT, the company is showcasing the state-of-the-art in modern flow cell research. nanoFlowcell Holdings has succeeded in developing the first ever controllable flow cell that enables a standalone design for low-voltage electric drives without the need for heavy and expensive supercapacitors. And the 2+2-seater has no lack of power at its disposal – the 560 kW all-wheel drive delivers top speeds of up to 300 km/h. However, nanoFlowcell 48VOLT is not just about powerful performance, but is also currently the lightest, safest, most environmentally compatible and most economical drive system available anywhere for electric vehicles. What makes the QUANT 48VOLT so special is the radical new design of its flow cell drive. 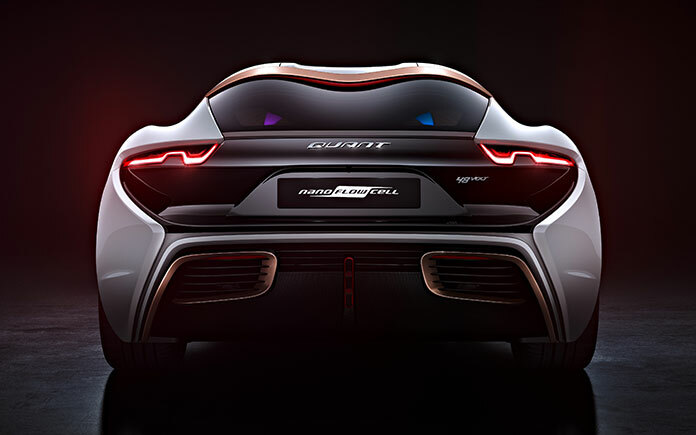 The previous model, the QUANT FE, achieved its exceptionally sporty performance figures with a 700 V high-voltage drive system, whereby the QUANT 48VOLT runs entirely on low-voltage technology. To compete in acceleration and power output with vehicles powered by internal combustion engines, conventional electric vehicles need electric drive systems with a battery voltage of 400 V and more. In fact, the automotive industry is currently contemplating increasing the voltage in electric vehicles to 800 V in future. 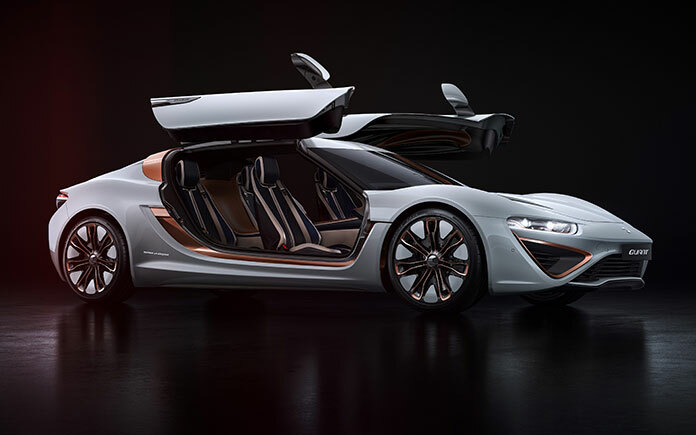 With the QUANT 48VOLT, nanoFlowcell Holdings questions this development alternative for electric-car technology and makes a globally unique statement: Flow cell technology in the QUANT 48VOLT delivers extreme performance (> 560 kW) at safe battery voltages (48 V). The key is the improved membrane structure of the nanoFlowcell and the connection of several flow cells. Over two-and-a-half years of development, the company successfully applied a specialist nano process to increase the size of the flow cell’s membrane surface in a way that multiplied the reaction surface by several orders of magnitude without compromising the compactness of the cells. Another innovation in the QUANT 48VOLT is the use of six flow cells, enabling more bi-ION electrolyte to be discharged in a shorter space of time, thus allowing more energy to be generated. Furthermore, this new cell design has also been configured to enable the nanoFlowcell to process a higher energy density in the bi-ION electrolyte solution (more than 600 Wh). The drive has also been completely redesigned. Used for the first time in the QUANT 48VOLT are innovative 45-phase low-voltage motors, which facilitate high power paired with minimised cross-sections in the electrical wiring. The special feature of these low-voltage motors is their solid aluminium net structure, which replaces the complicated copper windings used in conventional electric motors. This reduces the volume of the motor relative to its power output, while lowering weight and cost, and simplifying series production. 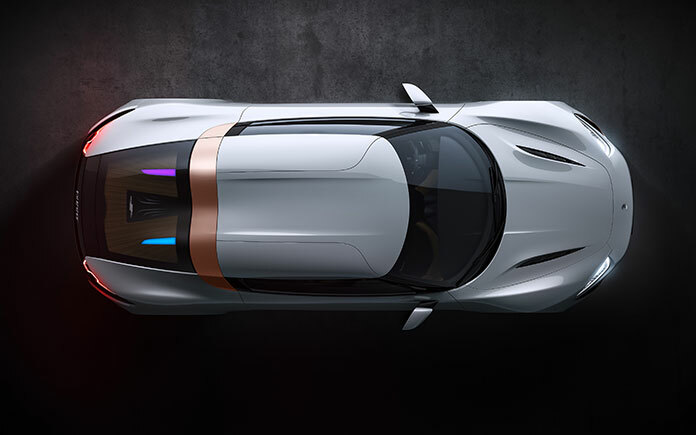 Questions on the power of the new nanoFlowcell 48VOLT flow cell drive are quickly answered: The 560 kW (4 x 140 kW) electric motors in the QUANT 48VOLT accelerate the electric sports car from zero to 100 km/h in 2.4 seconds and onwards with no loss of acceleration to a top speed of 300 km/h (electronically limited). The anticipated range is around 1,000 km – 25 percent more than that of the high-voltage version of the QUANT FE sports car. The QUANT 48VOLT not only dispenses with the performance scepticism levelled at electric vehicles but also addresses the safety concerns surrounding them. With an electric drive that operates at low voltages across the board, the entire vehicle is inherently safe from an electrical standpoint. The way they are structured, the flow cell’s poles can be touched with no risk to life or limb. In contrast to conventional lithium-ion battery systems, there is absolutely no danger of road users or first responders suffering an electric shock from a nanoFlowcell 48VOLT system, even in the event of a serious accident. Furthermore, the nanoFlowcell electrolyte liquids are neither flammable nor explosive. Standardisation for industrial-scale production of the low-voltage parts for a nanoFlowcell® 48VOLT electric car also offers substantial benefits – no expensive measures relating to high-voltage safety have to be met, leading to significant cost reductions in development, production and maintenance. The technical servicing of a nanoFlowcell® 48VOLT electric car can, for instance, be conducted by technicians without specialist high-voltage training. 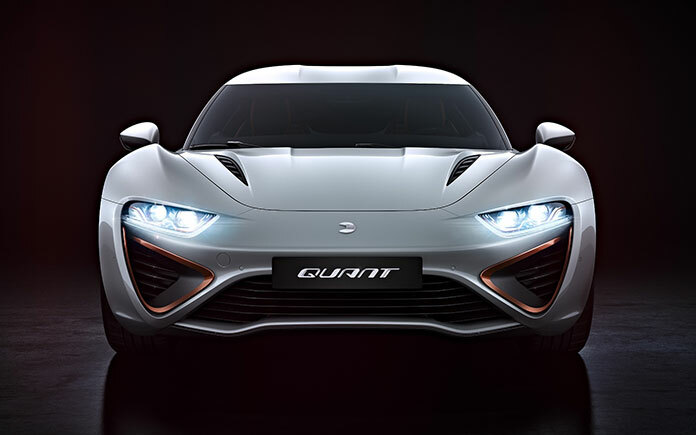 The QUANT 48VOLT with nanoFlowcell low-voltage drive is forward-looking electric mobility. The flow cell energy of the nanoFlowcell is not harmful either to health or the environment. 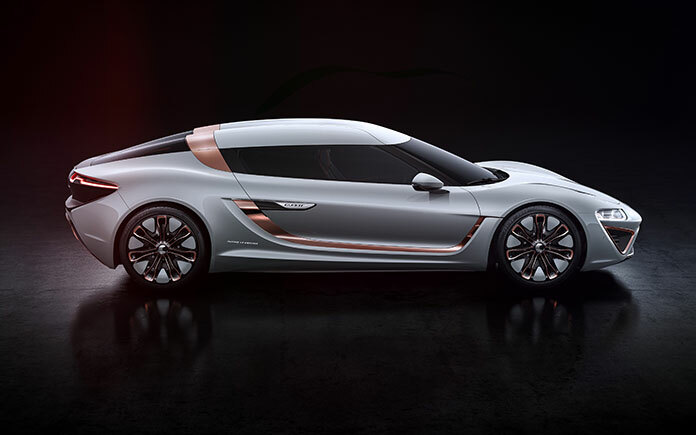 In a low-voltage sports car like the QUANT 48VOLT, nanoFlowcell® 48VOLT technology demonstrates powerful performance and thus draws attention to what is currently the lightest, safest, most environmentally compatible and economical drive system there is for electric vehicles. Next articlePost-Slump Luxury Real Estate: What Markets Are Heating Up In 2017?